The Mohammed VI international conference center in Skhirat is located half an hour from Rabat and less than an hour from Casablanca. Known and recognized worldwide by large-scale events, the center has become a must-see, as are Geneva, Paris, Brussels and Rome. Offering thought-provoking perceptions, deep dives on trends, and exceptional networking opportunities, AINAC 2018 is one of the richest sources of inspiration for any innovator. 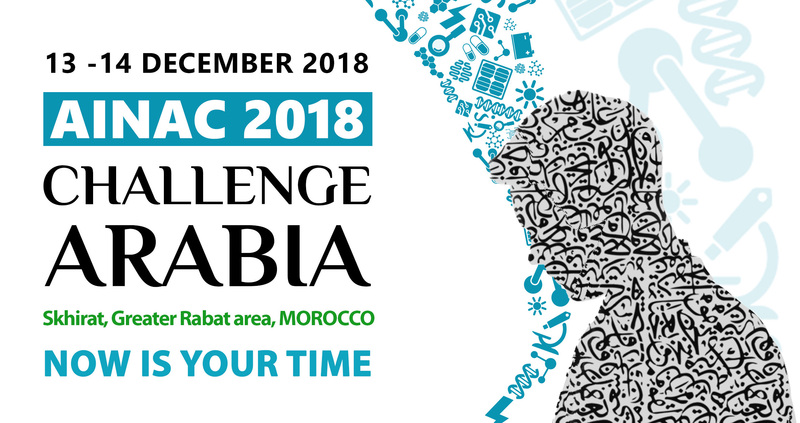 This year, AINAC is “Challenge Arabia” by engaging with youth in the Arab world to address challenges proposed by companies and organisations. The conference attracts annually 300 professionals from engineering, environment, healthcare and life sciences sectors congregate to share creative ideas and acknowledge. AINAC 2018 is sure to leave you feeling inspired and ready to transform your thinking. Have the opportunity for open networking to make some great connections in the industry. Compete in one of the AIN Corporate Challenges, where applicants from the Arab World are grouped to develop a solution for a corporate challenge, and win a fully paid internship. Share your bright new ideas in front of experts during the AINnovation Spaces Competition, and win a fully paid two-month internship at QMIC. Hear inspiring success stories and gain actionable takeaways. Benefit from diverse opportunities presented by international companies at AINcom exhibition.